Gov. 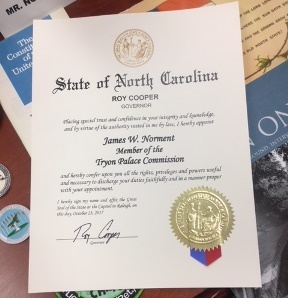 Cooper Appoints Jamie Norment to Tryon Palace Commission - Ward and Smith, P.A. Government relations attorney James Norment will serve on the Tryon Palace Commission in New Bern. He was appointed as an at-large member by Governor Roy Cooper, and announced on November 30. The commission, which is comprised of up to 25 appointed members from across North Carolina, will manage the Latham Trust for Tryon Palace. It will also develop public programs and preservation policies. "It's important for present and future generations to know what role New Bern played in making North Carolina the state it is today," said Norment. "That's why this commission is so invaluable. I want to do my part to be sure that our area's history is never forgotten." Prior to his appointment, Norment was a member of the Tryon Palace Foundation Board of Directors for six years. He served on the executive, finance, audit, and nominating committees. 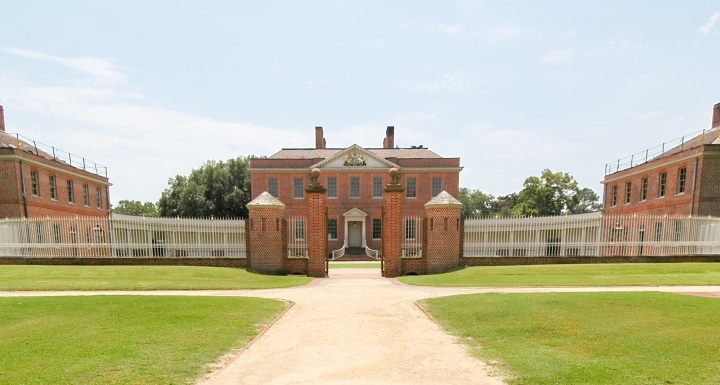 Tryon Palace is a replica of the mansion built in the 1760s for North Carolina's royal governor William Tryon.